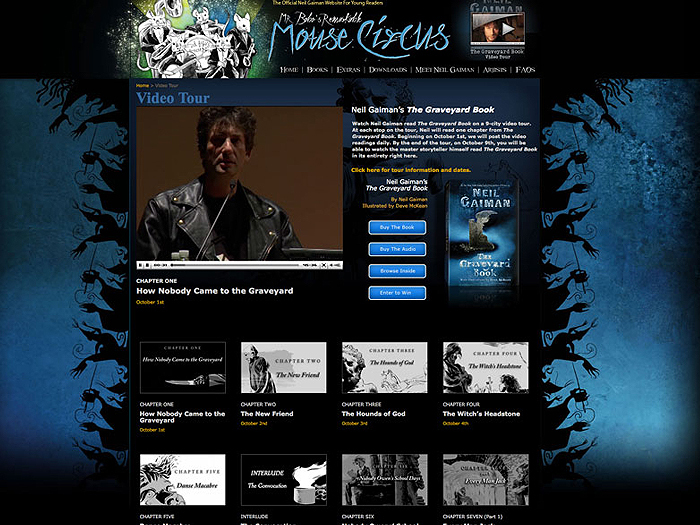 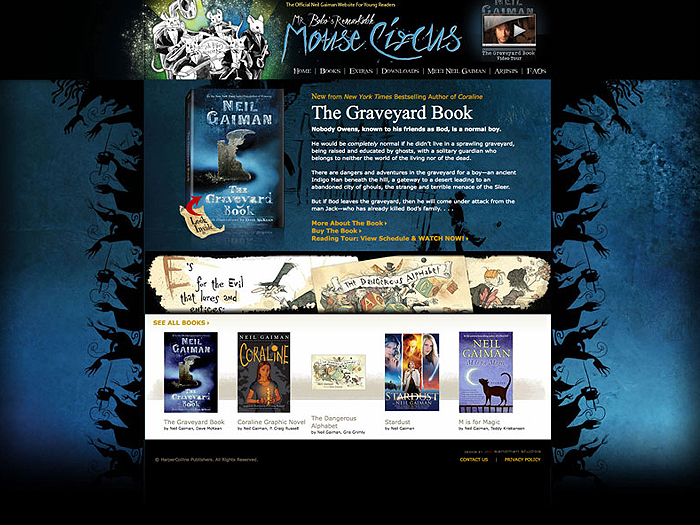 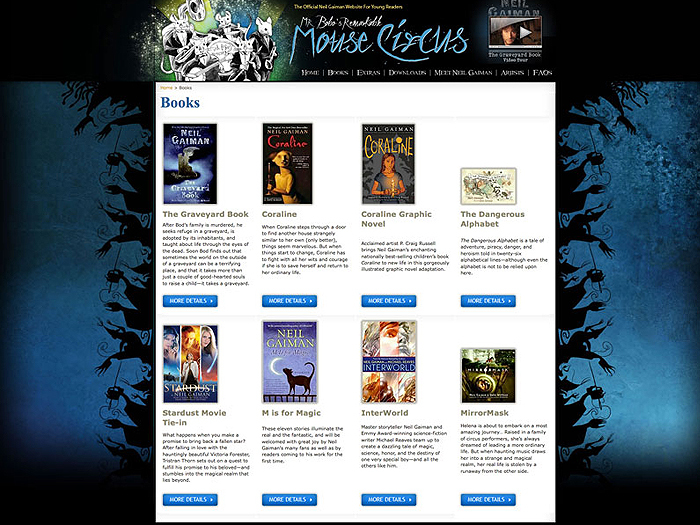 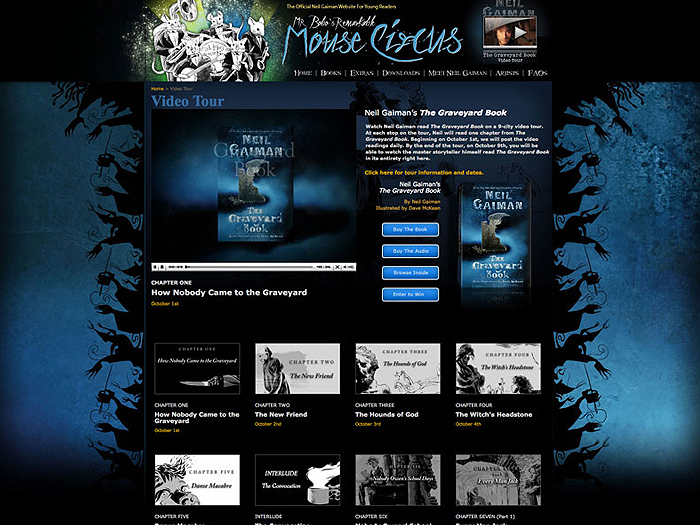 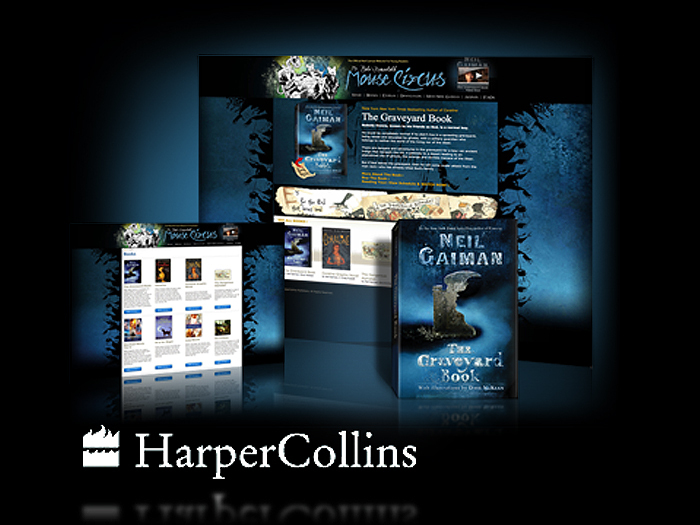 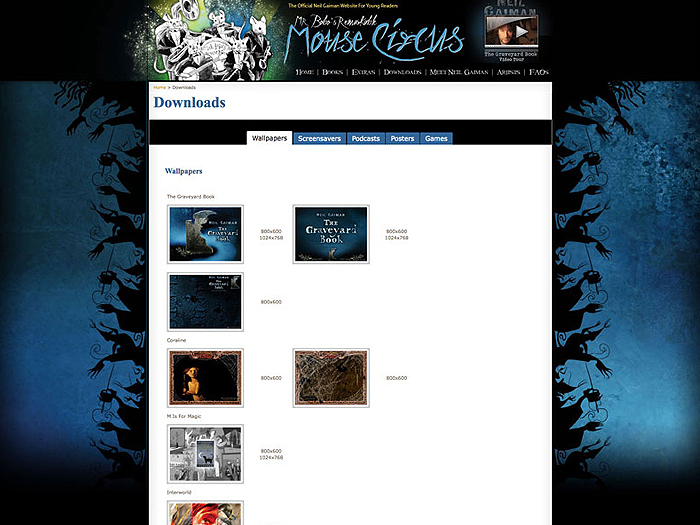 The popular publishing company Harper Collins Children has contracted with us to create a new website for Neil Gaiman’s property The Mouse Circus. 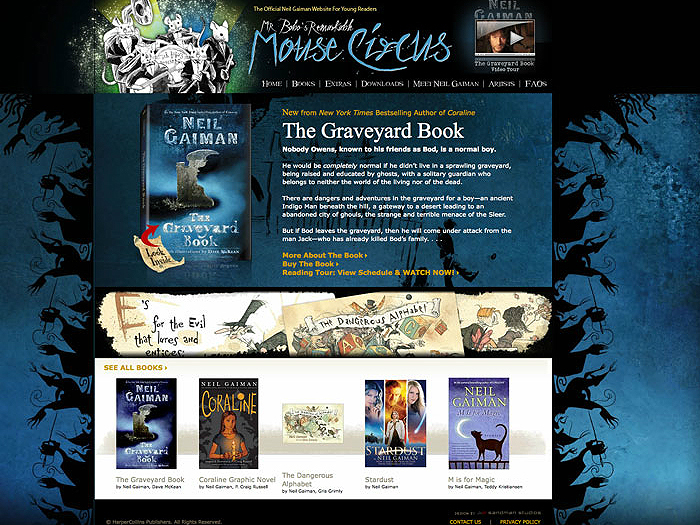 We have been asked to create a cinematic trailer for Neill’s upcoming children’s book called Graveyard Book. 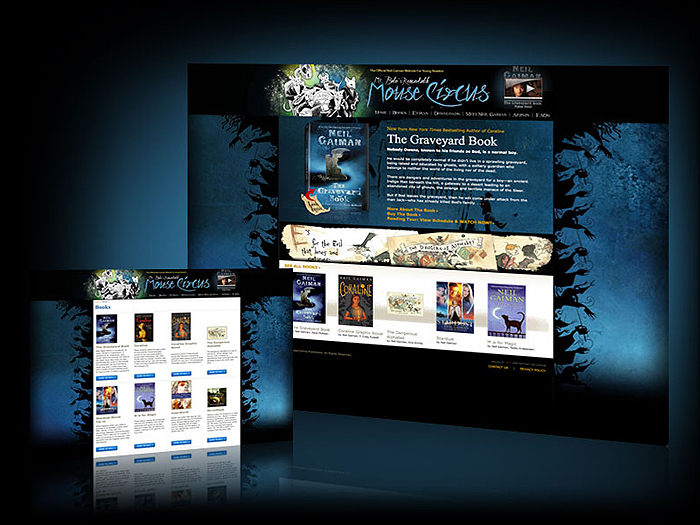 The style needs to be flat with black, white and gray tones throughout.